The nervous system is an complex structure of nerves found throughout the body, supporting the regular functions within the body, from breathing to controlling the muscles and maintaining an appropriate body temperature. Although sometimes, injury or the development of underlying conditions can damage the extensive network of nerves and cause nerve injuries. Nerve injuries can occur on any of the nerves housed within the human body but there are specific types of nerve injuries which are most commonly diagnosed than others. Peripheral neuropathy is a condition resulting when a nerve from the peripheral nervous system, referred to as the central nervous system, is damaged. 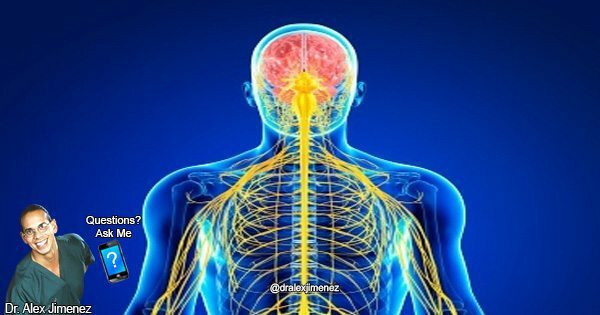 The peripheral nervous system transfers nerve signals from the brain and spinal cord to the rest of the nerves in the body. Damage to the peripheral nerves from peripheral neuropathy interferes with the connection of the nerves, blocking the transfer of information of the nerves. Peripheral neuropathy can occur as a result of trauma from an injury to a nerve or as a result of an underlying condition like diabetes or multiple sclerosis. The common symptoms for peripheral neuropathy include: temporary numbness, tingling sensations, and muscle weakness. In severe cases, this type of nerve injury can cause a burning pain, muscle wasting, and even paralysis, or organ/gland dysfunction. Also referred to as brachial plexus neuropathy, brachial plexus nerve injury occurs in the brachial plexus, a bundle of nerves from the spinal cord that separates into the individual nerves of the shoulders and arms. This type of nerve injury is considered unusual and is most frequently misdiagnosed for other neck or spine disorders. The true cause for brachial plexus nerve injury is unknown but direct trauma to the area, stretching injuries, or other underlying conditions are believed to lead to this disorder. The shoulder or arm pain due to brachial plexus neuropathy can vary for each individual. Other symptoms for this condition include: numbness of the shoulder, arm, or hand, local muscle weakness, tingling or burning sensations and the inability to extend or raise the wrist or hand. Multiple Sclerosis can best be described as an autoimmune condition where the immune system attacks and damages the nerve cells of the brain and the spinal cord. With this disease, the myelin sheaths that function to protect the nerve cells are broken down by the body's own immune system, a process referred to as demyelination. Also, during demyelination, the breakdown of the myelin sheaths will begin to form scars, known as sclerosis, where these hardened spot formations begin to interrupt the transmission of the nerve impulses. Although considered an autoimmune disease, not much is known about what causes the autoimmune reaction. Depending on which nerves are targeted by the condition, the symptoms for multiple sclerosis generally involve muscle weakness and disrupted motor skills and a difficulty with coordination and balance, along with numbness and a tingling sensation on the affected region. A peroneal nerve injury, also known as foot drop, is a peripheral nerve injury that affects an individual's ability to lift the foot at the ankle. The peroneal nerve extends from the sciatic nerve, providing sensation to the front and side areas of the legs and top of the feet. Foot drop injury can be caused by an injury to the spinal cord or from another underlying disease, such as multiple sclerosis. This condition can also occur as a complication after experiencing a joint fracture or dislocation. Although considered a neuromuscular disorder, peroneal nerve injury can be a symptom of another condition. Symptoms for foot drop injury include: inability to point the toes towards the body, pain, weakness, numbness, loss of function on the foot and an unusual gait. Neuropraxia is a milder type of nerve injury. This condition occurs when the transmissions of a nerve are completely blocked or interrupted while the fibers of the nerve, including the axon and protective sheath, remain intact. The major reasons of the developments of neuropraxia involve bone fractures or dislocations where the nerves are suddenly stretched. Also, prolonged pressure on the nerves can lead to this condition. Because the peripheral nerves stretches all across the extremities of the body, these tend to be more prone to damage or injury. The most common signs and symptoms for neuropraxia include: impairment or loss of regular motor or sensory function, weakness or paralysis of the muscles, abnormal sensations such as numbness, tingling, burning pain along the affected are of the nerve.